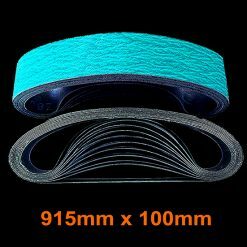 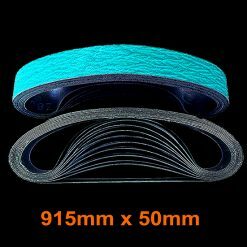 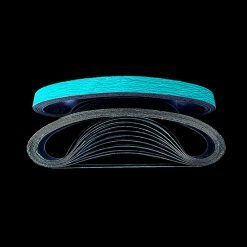 Smith & ARROW linishing sanding belts are deal for aggressive grinding, sanding, blending, finishing and deburring of all metal. 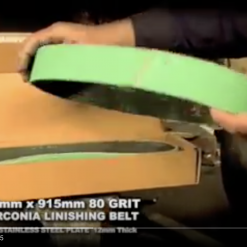 The long-lasting zirconia abrasive belts come in many different sizes, all of which are available in 40, 60, 80, 120 grits. 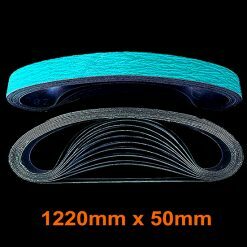 Shop our selection of high-quality, industrial sanding belts online today. 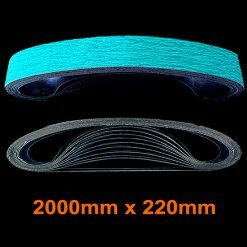 Our linishing belts come in 370mm / 475mm / 915mm and 1220mm sizes.